I was lucky enough to have a mom that didn't force us to eat things we didn't like. Welllll, maybe it was more like things SHE didn't like, but I was into it nonetheless. One of the things I never had to eat as a child was brussels sprouts. It wasn't until after college, at some chichi LA place, that I first tried them. The brussels sprouts were pretty much coated in oil and bacon and were DELICIOUS. I mean, of course they did; bacon makes everything taste better. So when I came across the recipe below for spicy maple glazed brussels sprouts, I knew I had to make them. The verdict? Absolutely sensational. Don't believe brussels sprouts can taste good? Try for yourself with the recipe below! Trim and clean brussels sprouts. Cut brussels sprouts in half or in quarters depending on size. Note that they will shrink significantly when cooked. Place clean brussels sprouts in a 9"x13" baking dish. Coat in EVOO and season lightly with salt and pepper. Cook for 15-20 minutes. 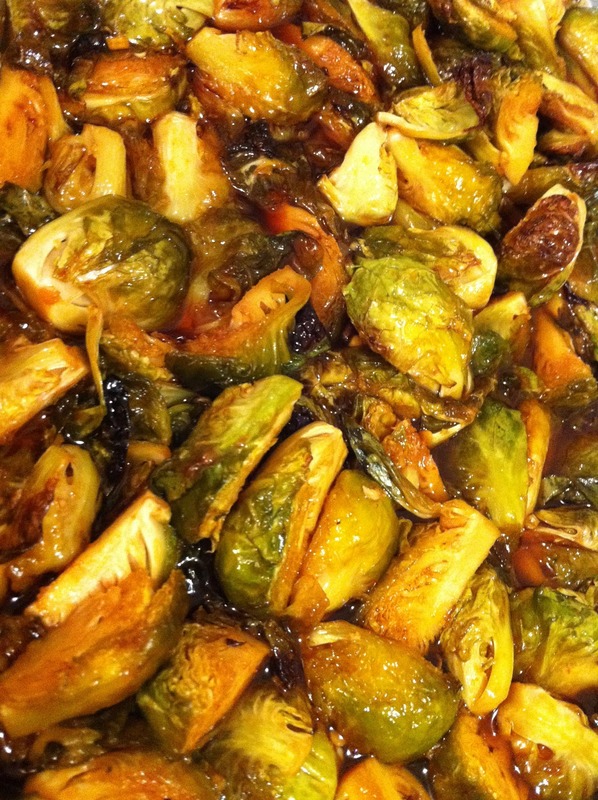 While the brussels sprouts are cooking, prepare the sauce. Chop the garlic finely and then whisk together the sriracha, soy sauce, maple syrup, and garlic. 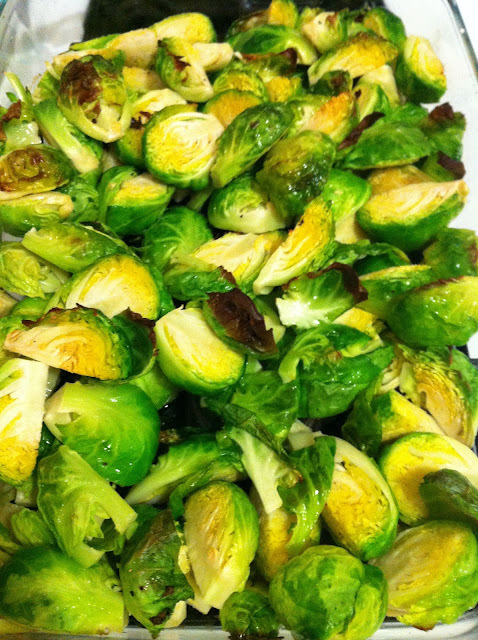 After the brussels sprouts have finished roasting, take them out of the oven. Pour your glaze all over the brussels sprouts and mix evenly. Return to oven for another 15-20 minutes. When they are almost done, turn on the broiler for about 2 mins, just to crisp them up a bit. Remove from oven and let cool for 5 minutes. Once cool, scoop the brussels sprouts out with as much of the glaze as you'd like. Making it tonight lady! Sounds delish! yummy cant wait to try! Thanks so much for sharing this, Julia! I finally got around to making these and it was a hit. Have you ever tried to make it with less maple syrup? I wasn't tasting the spice much over the maple syrup flavor. You gotta fight, for your right, to party PLAN! !